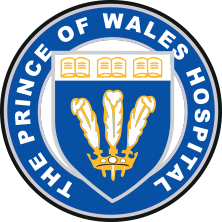 Welcome to Prince of Wales Hospital and Community Health Services. We are a major teaching hospital and tertiary referral centre, providing excellent healthcare to south eastern Sydney and specialist health and medical services to NSW. We have 450 inpatient beds and almost 3,000 staff. Each year we care for more than 58,000 patients in our Emergency Department and around 50,000 patients are admitted to our Hospital. We also have a busy outpatient service and rural outreach service and provide more than 900,000 occasions of non-admitted patient care each year. Our hospital is affiliated with various Universities and premier medical teaching facilities which enables our staff to provide excellence in healthcare in conjunction with our commitment to quality clinical teaching and leading medical research. For more information on Media & Communications click here.